In the history of comics, few characters offer a more complex history than Cable. Much of this is due to the character’s penchant for time travel. In Cable #1, Cable is back in his own ongoing series as part of the ResurrXion relaunch. The comic sees Cable embrace the elements that make him great while trimming the confusing bits down. The first issue opens up in Arizona, 1872. It’s a classic western setup, as a group of outlaws have overrun a town of innocents. They’re in a bar celebrating their wickedness when a mysterious drifter enters through the swinging doors. The catch is that this mysterious drifter is actually everyone’s favorite time-traveling mutant: Cable. Surprisingly, these outlaws aren’t packing six guns but instead have laser blasters; unlucky for them, Cable’s are bigger. Right from page one this book announces itself as exactly what fans are looking for. Cable as a time traveling avenger wandering through different eras defending those who can’t defend themselves. Following his takedown of the old west bandits, Cable travels to feudal Japan. We see him assure the frightened survivor of a razed village that he will root out the evil that devastated her home. James Robinson’s script perfectly captures the grit and edge of Cable but also shows off his heroism and humanity. Another standout of the book is the art from Carlos Pacheco, who mixes kinetic action and character design with the stunning vistas of the various time periods Cable travels through. One of the appeals of a time travel book is the ability to escape to varying locales and eras, and the detail Pacheco puts into each setting gives the book a sense of authenticity in addition to its sci-fi heroics. 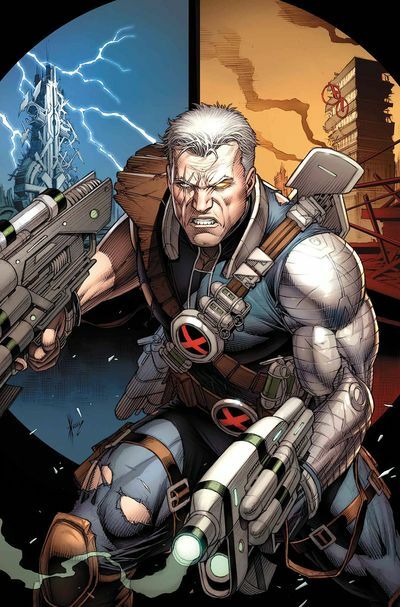 Cable is a character born out of the ’90s comics’ obsession with extreme badassery, but he’s managed to endure longer than a lot of other characters crated at the same time. There’s an edginess to him, sure, but underneath is nobility that makes him compelling and infinitely readable. That’s something that shines through in this first issue. Longtime Cable fans will no doubt enjoy their hero’s newest adventure, but for new readers it’s a fun story without an emphasis on previous continuity. All in all, Cable #1 is a great introduction to a classic Marvel character. New Reviews of This Week’s Releases! It’s our last edition of Wednesday New Releases . . . before Emerald City ComiCon! Psyche! We’ve got a slew of awesome comics and more today, including some Alice in Wonderland plushes, Secret Six #19, Farscape D’Argo’s Quest #4, B.P.R.D. 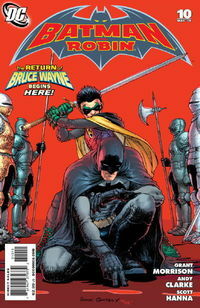 King of Fear #3, Cable #24, Batman & Robin #10, Iron Man 2 Spotlight, Ex Machina #48, Angel: A Hole in the World #4, and the Art of Hack/Slash Volume 2! Questions? Comments? Post them below! X-Men: Second Coming United Teaser Image! That is quite the group shot! Can you name everyone? Who’s the girl to the left of Storm–Kitty? She looks a little too young, but Hope keeps being depicted as anywhere from 5 to 25, so who knows? By the way, nice costume, Storm! If you haven’t already, check out our X-Men: Second Coming page and pre-order every issue for 20% off! 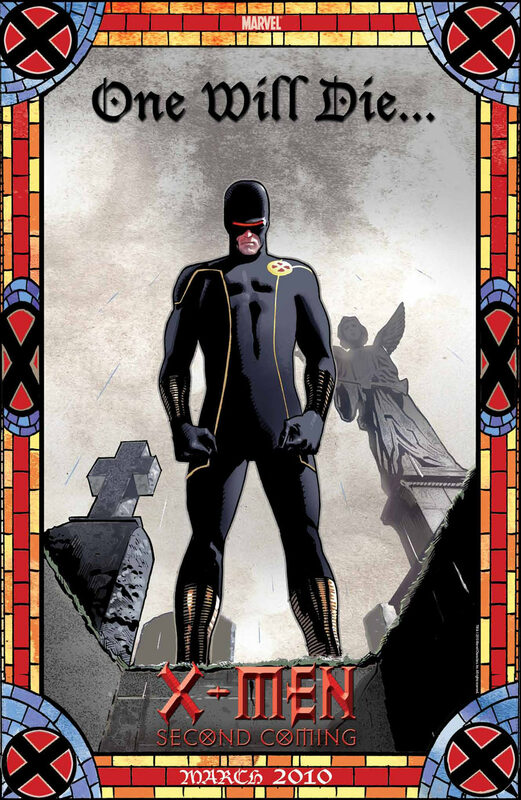 You can also view all of the previous X-Men: Second Coming teaser images right on our blog! This is shaping up to be quite the family affair, eh? Who are you surprised to see here–and who’s missing? Post below! Yikes! How Did We Miss This X-Men Second Coming Image? What the WHAT? “One Will Rise”???? In the X-Men Universe, that’s always, always been the Phoenix. 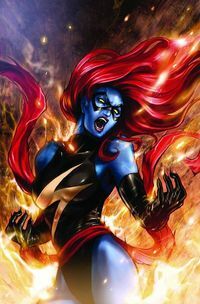 There’s been some speculation that the “Mutant Messiah,” Hope, is actually the reincarnation of Jean Grey. 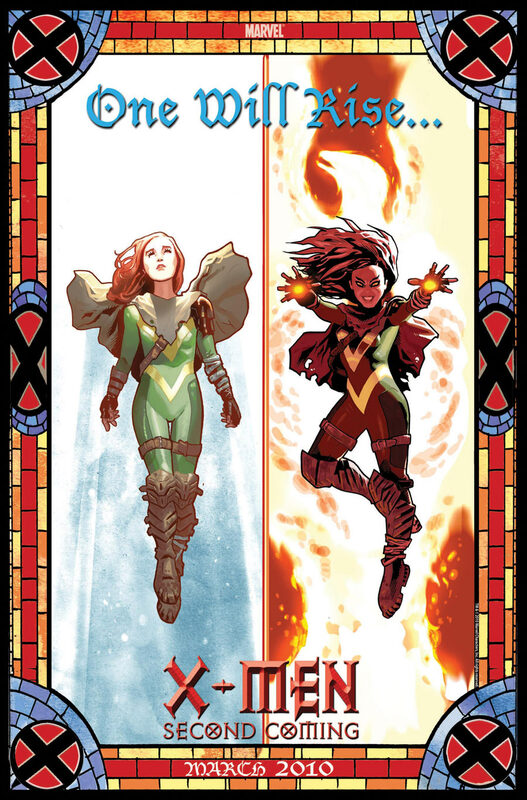 What if that’s not even the point–what if she’s Phoenix? And what if she transforms into Dark Phoenix? Is this why Bishop has been trying to destroy her all along? I don’t know about you, but as an old-school Marvel girl, I am blown away. If you haven’t already, check out our X-Men: Second Coming page and pre-order every issue for 20% off! You can also view all of the previous X-Men: Second Coming teaser images right on our blog! So . . . what the hell is going to happen here, people? I want some theories, STAT! Brand-New X-Men: Second Coming Teaser Image! How many teaser images are yet to come? 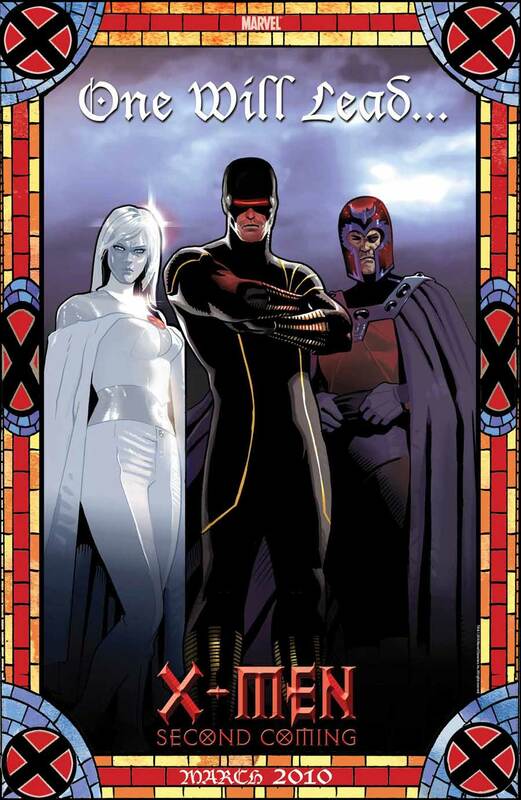 Are you excited for X-Men: Second Coming? Check out every issue at our X-Men: Second Coming page and pre-order every issue for 20% off! Questions, comments, opinions? Share them below! New X-Men: Second Coming Teaser Image! So, who wants to bet that the next teaser image will say “One Will Be Reborn . . . “? And . . . will it be Jean Grey? I know it’s kind of silly to hope for (and really, if Jean were coming back, Marvel would have to call this “X-Men: Third or Fourth Coming”), but something keeps tickling my brain. In any case, make sure to check out our Second Coming page and pre-order every issue for 20% off! New “X-Men Second Coming” Teaser Image! 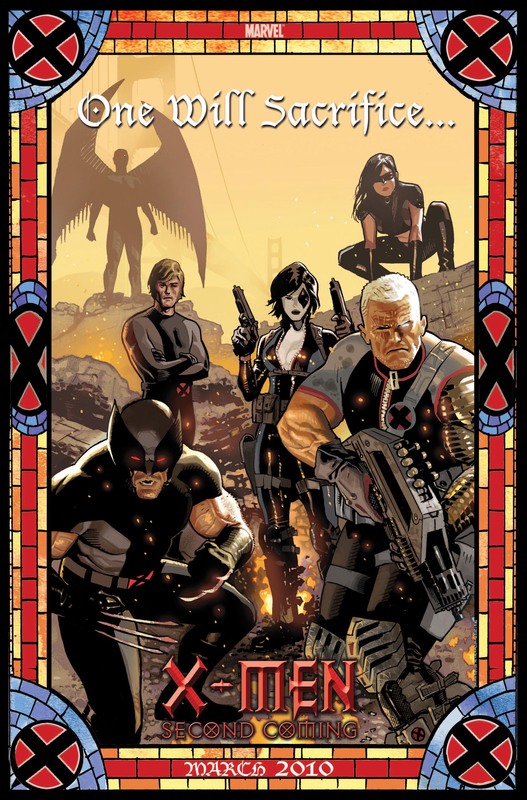 Are you excited about X-Men: Second Coming? Make sure to check out our Second Coming page and pre-order every issue for 20% off! 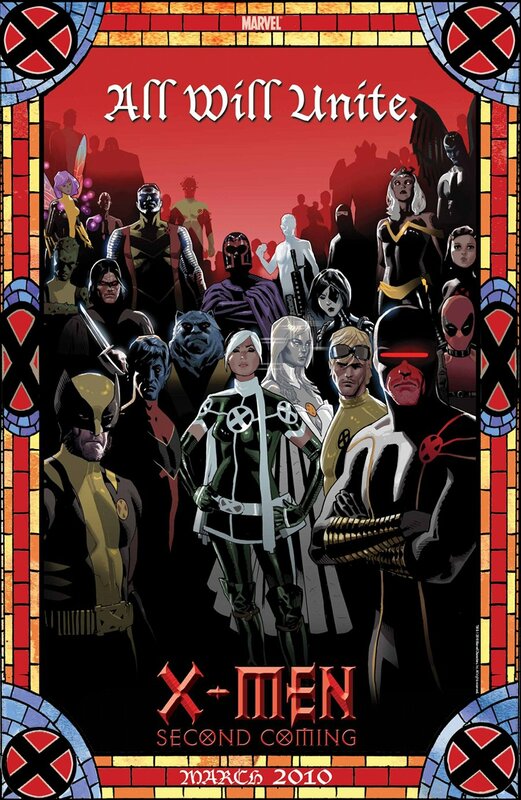 Who do you want leading the X-Men in the near future? Is it time for Scott to take a break and let Emma or Magneto take over? Holy crap! Don’t mind me, my mind’s still blown from the excellent Iron Man 2 trailer. So awesome! Almost as awesome as this week’s Wednesday New Releases blog. 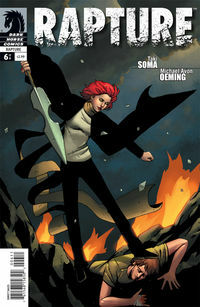 On deck: Angel Aftermath #28 (with Bill Willingham of Fables! ), Angel: A Hole in the World #1, Cable #21, Chimichanga #1, Locke & Key: Crown of Shadows #2, Star Trek Deep Space 9: Fool’s Gold #1, Ms. Marvel #48, the new Green Lantern Uni Formz figure, and one of our awesome Marvel Keyscaper keyboards. Start it up! Religion has been a taboo in the comic book industry for decades. But with so much rich material stemming from so many religions, it was only a matter of time before pioneering artists paved the way for books we’re seeing today. For some, these books are an affront to their sensibilities. 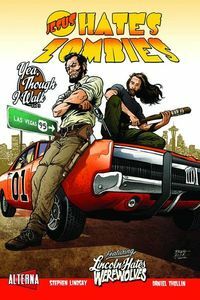 Seeing Jesus battle zombies (Jesus Hates Zombies Lincoln Hates Werewolves) or reading a story that chronicles Earth’s apocalypse at the hands of a man-made godlike superhero (Warren Ellis’ new Supergod series) might not agree with some people. 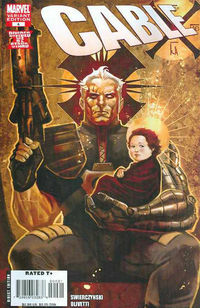 For others, a mutant messiah makes sense in the wake of “House of M” (Cable) and the story of God sending angels to cleanse the world after losing faith in humanity (Legion, which is a precursor to the upcoming film) or a story about a post apocalyptic world where every last superhero suddenly disappears (Rapture) are not only intriguing, they’re downright impossible to pass up! It’s okay if these titles offend you. Everyone’s entitled to their own opinion. I for one, am very much intrigued by these upcoming offerings and have been enjoying Cable recently and have dug Rapture thus far. So are you excited about these titles or do you abhor them? Have another religion inspired title I didn’t talk about in the article? Feel free to voice your opinion or comment below!